There has been an increase in liquid and powder type facial cleansers on the market. Nonetheless, we shouldn’t forget about bar soaps. Many people are starting to convert from solid soaps. However, there are significant benefits of using bar soaps, and there are so many reasons to why it should still be a staple bathroom and shower partner. To state some, you can use bar soaps on your body and face; bar soaps are as versatile as any soap out there. In this article, we’re going to introduce to you our top 10 recommended bar soaps to buy online. With that, we’re also going to explain some factors to consider when you’re choosing a solid soap. Soaps are a form of surfactant… but, what are surfactants? It’s an ingredient found in many cosmetics, which functions by compounding ingredients that do not mix, such as oil and water. Such bar soaps are created from reactions between of different fatty acids with alkaline compounds. 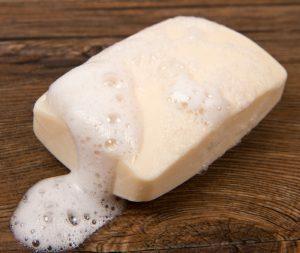 In that regard, what’s the difference between soaps and cleansing foams? Perhaps the biggest difference between soaps and facial cleansing foams is that the latter is an artificial raw surfactant. Synthetic surfactants have a strong detergent property. As a result, these products may get rinsed along with oils essential to the skin. Soaps are gentler on the skin and less cumbersome as compared to many cleansing foams. There’s a wide variety of bar soaps circulating around the market. Keep in mind that their types and price tags differ from each other. So now you might be wondering, “Which soap should I choose?” In this portion, we’re going to introduce to you some points to consider when you’re choosing a solid soap. People have different skin types. 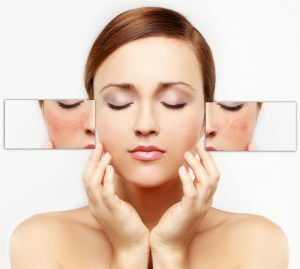 Your skin can fall into different categories, them being the following: oily, dry, normal, or sensitive skin. Consider buying a bar soap that’s compatible with your skin type. 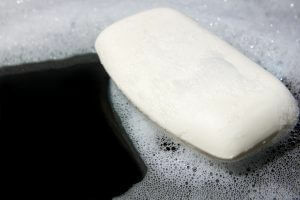 There are also different kinds of solid soaps, and we’re going to explain which product is the right one for your skin. 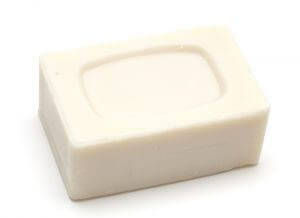 People with dry skin should consider using a transparent bar soap. You might ask yourself, “What does it matter if it has a transparent appearance?” It’s because soaps with a transparent look have glycerin. Glycerin is a moisturizing ingredient, and it has a characteristic that doesn’t take in too much sebum. Also, it’s suggested to choose an oleic acid-based bar soap. Both camellia and olive oils contain plenty of oleic acids. Oleic acid has a similar chemical construction to the fatty acids found on the human skin. It has the same effect of supplementing moisture when you’re trying to wash away dirt and debris on your flesh. For people with oily and normal skin, search for a bar soap with an opaque appearance. Opaque bar soaps are based on oil. As a result, there’s less moisturizing content like glycerin as compared to transparent soaps. It’s for that reason that opaque bar soaps have a higher detergency than their transparent counterparts. Hence, it has a stronger cleaning power. If you’re concerned about the excessive production of sebum on your skin or if you have a problem with clogged pores, then it’s recommended to use an opaque soap. Fatty acids like palmitic and stearic acids found in palm fat and beef tallow are excellent ingredients in removing excess sebum. Sensitive skinned individuals should use a soap with a similar chemical construction as with soaps for dry skin. Additionally, it’s recommended to choose a soap that doesn’t contain any additional additives or disinfectants. Medicinal soaps contain a bactericide. The compound is a strong stimulus, and it’s not suitable for use on sensitive skin. Also, avoid bar soaps that contain metal seizing agents known as etidronic or edetic acid. These compounds are for foaming and the prevention of soap scraping. Individuals with sensitive skin might acquire issues when using these cleaning agents, so do be careful. In this part of our guide, we’re going to introduce our top 10 best bar soaps in a ranking format. Kindly choose the right soap for your personal and specific preferences based on our list. 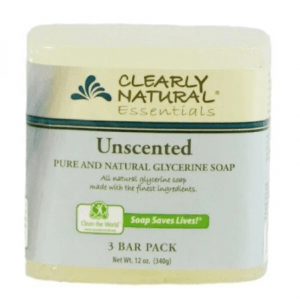 This unscented bar soap won’t let you deal with sticky remnants from your bath with the work of glycerin. Glycerin also helps in bringing additional moisture to your skin. It can bring a number of benefits to the skin including maintaining your skin’s proper health. This product can help maintain the skin’s natural pH balance, which means it’s a great choice for people with sensitive skin. Although it’s one of the most expensive soaps you can find on the market, using it is an absolute treat, if you don’t mind spending the extra cash for a bar of soap. This skincare product won’t just help you lighten annoying dark spots, but it can also assist in removing wrinkles and fine lines because of its vitamin E content. 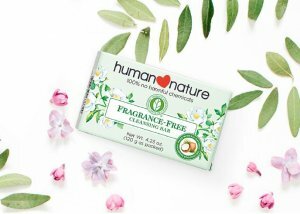 The formulation used for the creation of this bar soap can aid in eliminating some signs of aging because of its glutathione content. Its additional benefits do come with a steeper-than-average price tag, but it won’t hurt your budget too much. That small bump in price does give you extra incentives that would otherwise be absent in a very cheap cleansing soap. 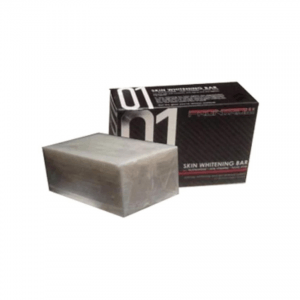 This bar soap contains essential ingredients like glycerin and palmitic acid. The inclusion of palmitic acid in the formulation of this soap allows you to gain its benefits. This compound helps bind sebum with water as they would normally repel each other. As a result, people with oily skin can greatly benefit from this soap. 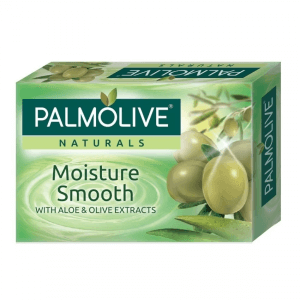 Aside from getting rid of the excess oil, this soap will also keep the skin moisturized and feeling fresh throughout the day with its moisturizing aloe and olive extracts. However, if you have sensitive skin, then you might want to look for other bar soaps with a gentler formula. There are bar soaps on the market infused with glutathione or kojic acid to help lighten dark spots found in some areas of the skin. However, what if you can have a soap that has glutathione and kojic acid at the same time? That soap is here. This powerful skincare product not only has glutathione and kojic acid but also arbutin and papaya enzymes for added whitening effect. Aside from whitening your skin, this soap can also help in nourishing the flesh because of its milk and lactic acid content. It does have a stronger set of ingredients as compared to other bar soaps. If you have sensitive skin, then this might not be the right choice for you. If you have dry or sensitive skin, then you should definitely consider buying this soap. For one thing, it has a natural formula that won’t put your skin in harm’s way. 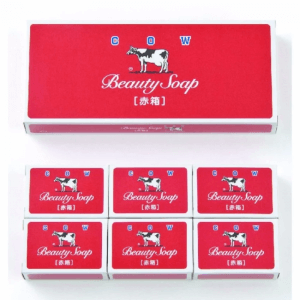 In addition, this cleansing soap doesn’t have any irritating colorants. It has stearic acid that makes it a more potent cleanser as compared to traditional bar soaps you might’ve been using for years. It also has coconut oil to get rid of the day’s accumulation of dirt and grime on your skin. Perhaps the best benefit to get from this soap is it has glycerin to help retain proper moisture on the skin. 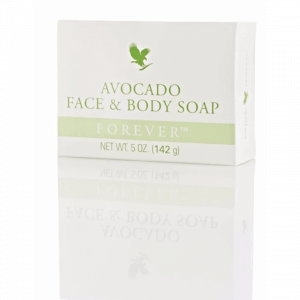 Many people know that avocado is loaded with vitamins like A, B, D, and E. This bar soap has a 100% pure avocado butter formula, which means it doesn’t skimp out on the advantages that you’ll get from the fruit. It’s even mild enough to use on your face. Now you don’t have to use two separate skincare products to cleanse your body and face. Avocado oil is also rich source of monounsaturated fatty acids like oleic acid. Oleic acid is a potent compound that can aid in preventing the appearance of wrinkles and other signs of aging on the skin. This soap can prevent these skin imperfections from happening by protecting your skin from toxins and free radicals. This skincare product has beef tallow, and it promotes plenty of benefits when used on a regular basis. The compound is rich in antioxidant properties that help the skin in combatting the signs of aging like wrinkles and fine lines. This soap has milk and milk fat as its main ingredients, and these contain essential vitamins like A, B, and D. These vitamins can help in keeping the skin moisturized and healthy at the same time. Hence, it’s a good choice for people with dry skin. Using this soap can help you eliminate blackheads while bringing other benefits in tow. 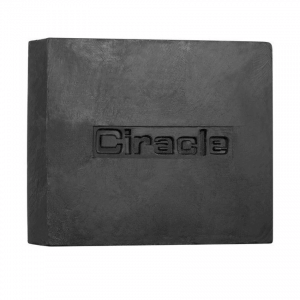 This soap contains black coal, black tea, and black bean as part of its list of ingredients. These ingredients were carefully selected to help users properly deal with troubling blackheads and other skin imperfections. Also, this soap has stearic acid. This compound enables water to combine with excess sebum found on the skin. As a result, this soap is a great choice for people who have oily skin. Use it on your face and other areas of the skin to help get rid of acne, excess oil, and, of course, blackheads. Noni is a powerful antioxidant, and it can also help in combating the signs of aging. Put that in a soap and combine it with honey, and you’ll get a skincare product that’s going to aid your skin in keeping its youthful appearance. This soap won’t just assist you in looking young, but it can also help in keeping the skin properly hydrated because of its noni and honey content. Honey also helps fight off harmful toxins found on your skin that might have accumulated throughout the day. It doesn’t contain harmful agents like phthalates, artificial surfactants, and preservatives. Also, it uses a 100% natural formulation. Using it on your skin allows for a gentle cleanse without worry of irritation. However, its gentle formula might not be an ideal choice for people who have oily skin. On the other hand, it’s a great choice for that gentle cleanse that you might be looking for in a soap, especially if you have sensitive skin. 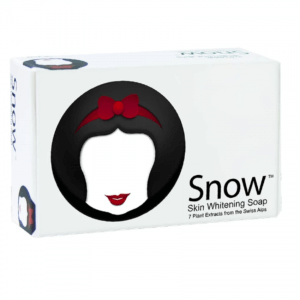 For people looking to achieve that healthy white glow on your skin, then you might want to stop your search for the right bar soap once you get a hold of the Snow Skin Whitening Soap. This product contains ingredients like ACE-B3 and Gigawhite that can help in cleaning and maintaining the healthy glow of your skin. Its Gigawhite component comes from 7 plant extracts, and it effectively helps in whitening dark spots and reducing some signs of aging. Aside from giving your skin a healthy white glow, it also does an effective job of reducing the visibility of some scars. 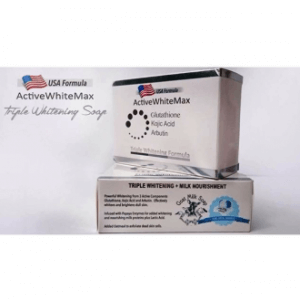 If you’re looking for that one bar soap that can give you a healthy, smooth, and white skin, then perhaps your search is over with this product. It’s always important to make bubbles when you’re washing your face. Creating fine bubbles will allow the cleaning agent to absorb the dirt from your pores. The bubbles also allow you to remove the dirt without excessive exfoliating. Make sure to use lukewarm water when you’re trying to make bubbles out of solid soap. Also, gather the foam while scrubbing the bar soap with the palm of your hand as if you’re trying to crush it. Repeat this process several times until you can create fine bubbles from it. Lathering your skin with the soap is also an easy and quick way to create fine bubbles. Even when you’re using a foaming net, you can still make bubbles with the help of lukewarm water. Remember to keep the soap in a well-ventilated place after using a net. We’ve just introduced you to the some of the best bar soaps on the market in a ranking format. How do you like our list? People have different skin types and preferences of their cleaning products. Nonetheless, there are also many different bar soaps on the market. You can always consult our guide to help you search for something that’ll suit your personal needs and preferences.